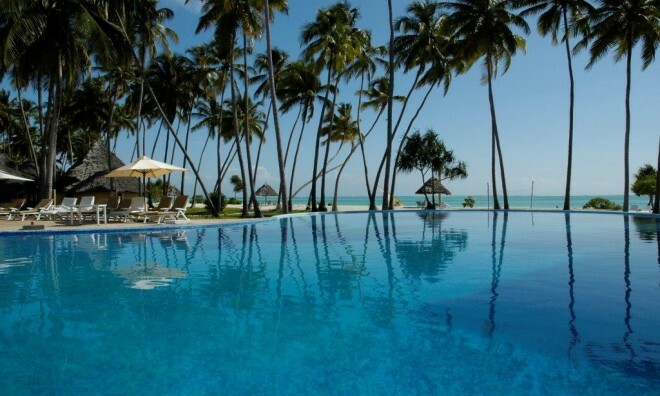 This resort in Zanzibar is nestled on the beautiful north east coast of the island and has a wonderful position with views over the Indian Ocean. 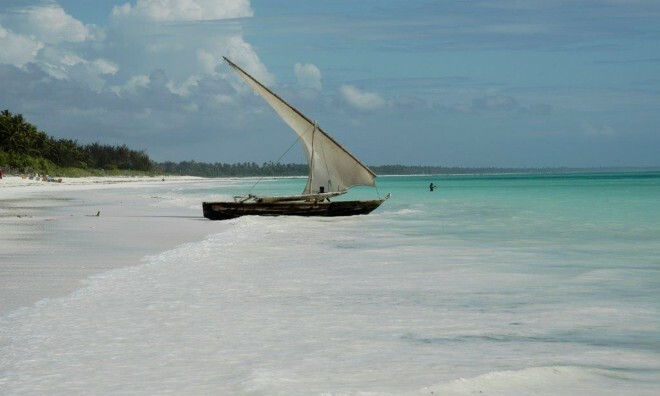 This oasis is only 45 minutes from Zanzibar International Airport, where you will travel through a stunning unspoilt island landscape passing small local villages along the way. At the entrance of this Zanzibar resort a Masai warrior will salute you, welcoming you to Ocean Paradise Resort where you will find round traditional chalets with makuti roofs, a spectacular beach, stunning gardens, a beautiful waterfall feature, coconut palms and a large magnificent swimming pool - which is in fact Zanzibar's largest swimming pool. 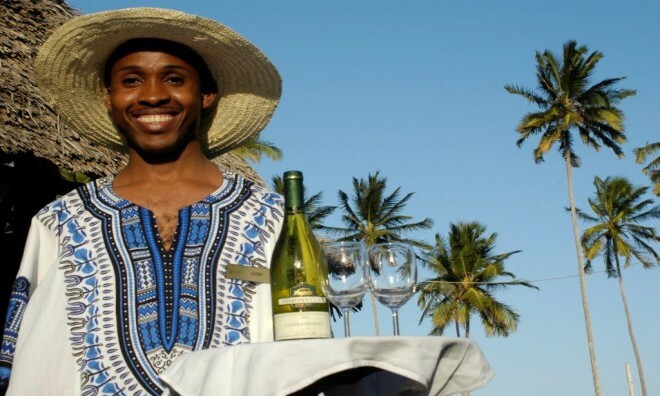 The staff at Ocean Paradise Resort will greet you with "Jambo" and a smile and the stresses of life will start to float away as your holiday in Zanzibar begins. The bedrooms and suites at Ocean Paradise Resort are traditional round chalets but with all the modern comforts you require. 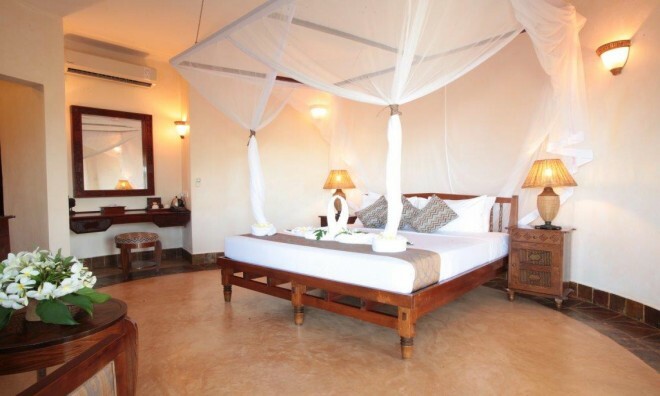 They are set in stunning tranquil gardens filled with splashes of colour, that lead to the spectacular beach where the warm Indian Ocean meets the sands of Zanzibar. Each room at the resort is sea-facing, has a private balcony, air-conditioning, TV, mini bar, hairdryer and en suite bathroom. This beachfront resort has three restaurants that use only the best produce and offers the finest food for its guests. The Ocean Restaurant has amazing views of the resort and ocean views and is situated on the second floor. It offers a delicious breakfast with croissants, freshly baked breads, cereals, Danish pastries, fresh juice, fruits, cold meats and cheeses and cooked traditional meals. For dinner the candles come out and a scrumptious daily themed buffet is set out. The Jahazi Restaurant is down by the pool and serves tasty pizzas, an assortment of snacks and has an a la carte menu of local Zanzibari dishes and international cuisine. 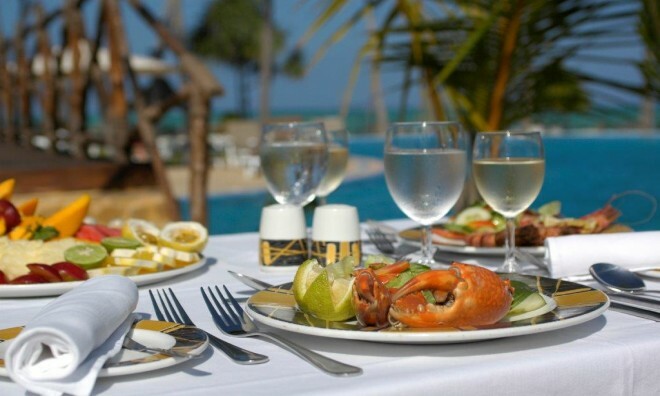 Mawimbi Restaurant has an amazing beachfront position and serves delicious Zanzibar fusion cuisine. The restaurant combines Western and Asian influences to traditional and local ingredients and it the perfect location for a candlelit dinner for two. For entertainment there is something going on daily, from acrobats, traditional African dancers to a band. 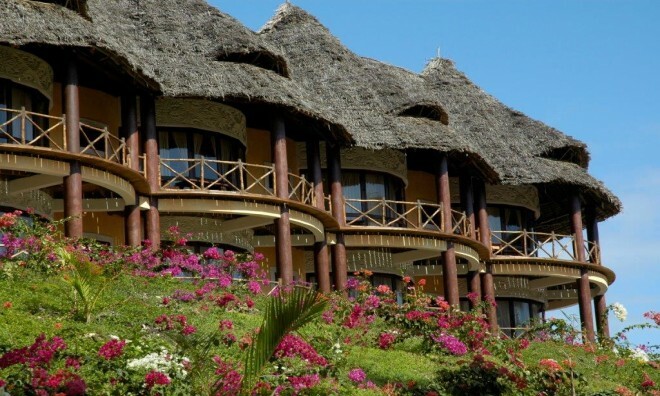 This Zanzibar hotel has wonderful conference facilities that can host and has hosted a number of prestigious events. There is a main conference room that can seat up to 180 people, is air-conditioned has screen and projector. The boardrooms can seat up to twenty people for small meetings. 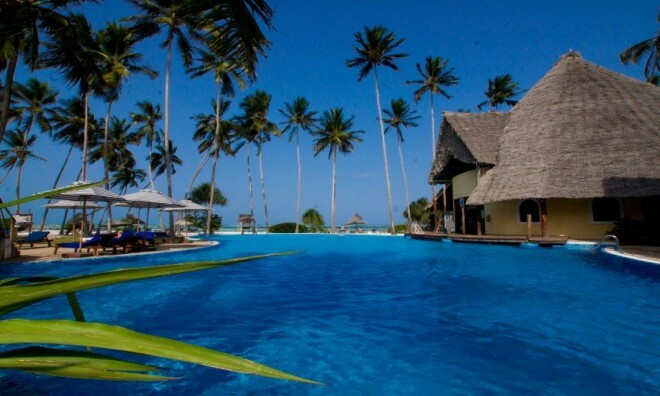 Ocean Paradise Resort can oversee and organize a fantastic diving trip, as Zanzibar has spectacular diving sites. There is even full tuition and certification available from the qualified divers. There is also sailing, windsurfing, kayaking and a variety of boat trips and dolphin tours. For on land there is a variety of tours from a visit to Stone Town, a Spice Island excursion and a visit to Jozani Forest. Enjoy the fitness centre, billiards, table tennis and beach volleyball. Ocean Paradise Resort is the perfect wedding venue in Zanzibar as it offers a romantic setting for your vows and your wedding can be all organized by the team at Ocean Paradise. 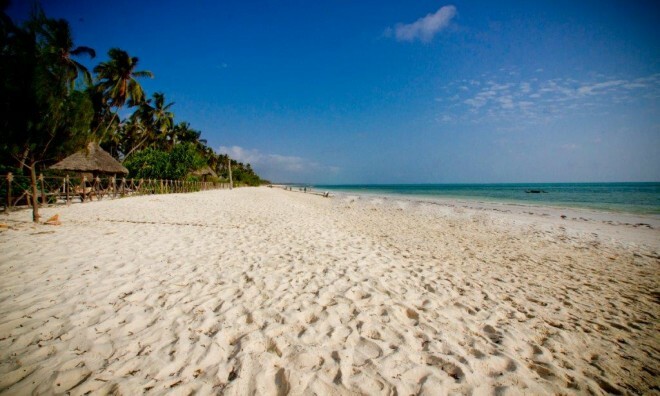 Enjoy your wedding on a beach in Zanzibar, there is no greater place to start your lives together. Honeymooners get special treatment at the resort, with a bottle of delicious bubbly waiting for you in the bedroom, a romantic and delicious dinner on the beach and even a room upgrade (subject to availability). If relaxation and fun is your idea of the perfect holiday, then spend your honeymoon in Zanzibar at Ocean Paradise Resort. Why not share your experiences and reviews with the community and write a review for Ocean Paradise Resort.